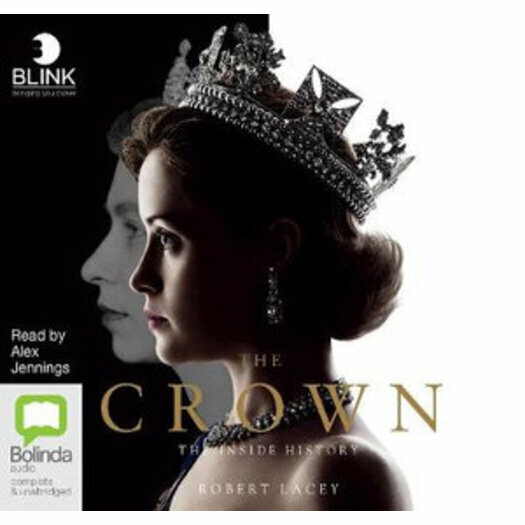 The official book to the critically acclaimed Netflix drama, The Crown. Netflix's original series The Crown painted a unique and intimate portrait of Britain's longest-reigning monarch. This official companion to the show is an in-depth exploration of the early years of Elizabeth II's time as Queen (1947 - 1955), complete with extensive research. Princess Elizabeth never expected her father to die so suddenly, so young, leaving her not only a throne to fill, but a global institution to govern. Crowned at 25, already a wife and mother, follow the journey of a woman learning to become a queen. As the country lifted itself out of the shadow of war, the new Queen faced her own challenges. She had a mother and uncle to prove wrong, a relationship to save and a marriage that threatened her role as head of the Church. This is the story of how Elizabeth II drew on every ounce of strength and British reserve to deal with crises not only on the continent, but at home as well. Written by expert historical biographer Robert Lacey, The Crown provides an indepth exploration from behind the palace gates. Relive the majesty of the first series of the hit show. Robert Lacey is a British historian noted for his in-depth research and page-turning narrative style. He is the author or the several international bestsellers including Majesty: Elizabeth II and the House of Windsor, The Kingdom: Arabia and the House of Saud and Great Tales from English History.